With a jingle of tack, a Hansom cab drew up before the grand portico of Gimballs department store, the flanks of the carriage horse steaming in the chill night air. 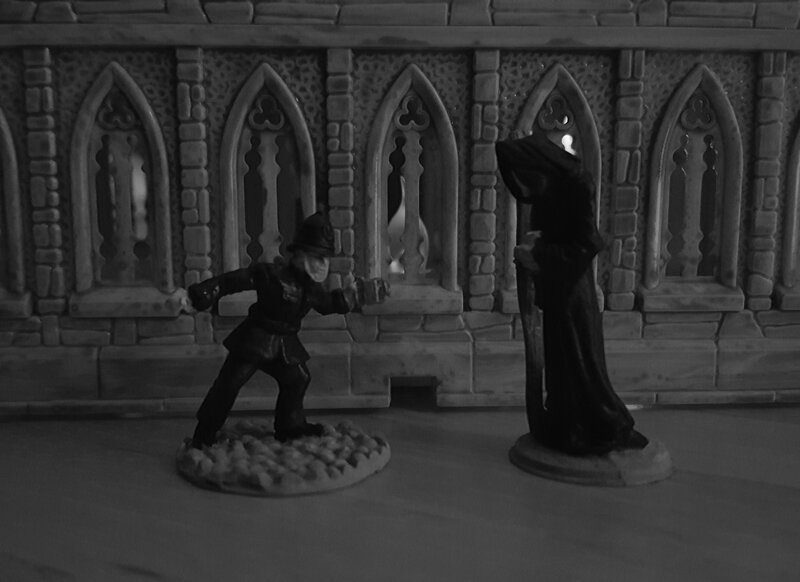 Constable Stanley Rowan stepped down from the cab, then turned to assist his heavily cloaked companion. As her bare feet touched the frosted pavement, there was a hiss as the snow immediately began to melt around them. Ayesha does NOT require this heavy, smelly garment, – there was a petulant edge to this thought – for Ayesha is not cold. Rowan turned from paying the cabman, sighing in exasperation. Stanley said he would bring Ayesha some dates – and he did not. Stanley dragged Ayesha into the night and made her ride in the rattling box. Why should Ayesha do as Stanley commands? Rowan reached out and took Ayesha’s hands in his own and gazed into her scowling face. Rowan could see Ayesha weighing his words and then come to a decision. Rowan turned and regarded the imposing facade of Gimballs. Somewhere amongst the haberdashery, millinery and cosmetics were the two missing children and their abductor, the red-legged scissor man. Four floors, sixteen departments and only five hours until the sun rose and the children were lost forever. 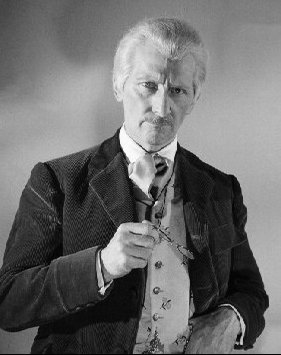 Rowan reached into his breast pocket and pulled out his skeleton key – time to get to work. [Now, I could just continue the tale to its conclusion, but decided to add a random element, with a chance that Rowan and Ayesha would not be able to find the children in time. Gimballs is quite large and it will take a good half hour to search each separate department, so I dealt fourteen black playing cards, from the Ace to the seven of both Clubs and Spades, then added the two of Hearts (to represent the children) and the Jack of Diamonds (to represent the scissor man), then shuffled this deck. As they only have five hours until dawn, I can only draw ten of the sixteen cards. 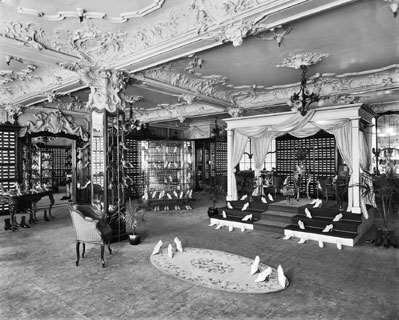 The chiming of Rowan’s pocket watch signalled that it was 3 o’clock in the morning and whilst they had thoroughly searched the ground floor, they had still found no trace of the missing children. 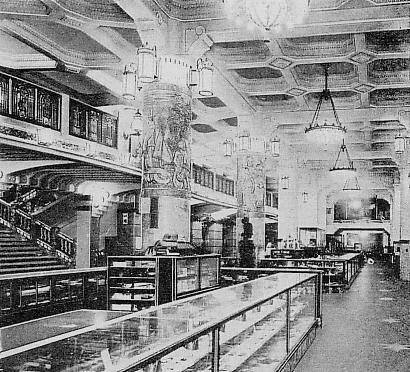 Rowan had been certain that they would some evidence of their passing in the confectionary department – overturned jars or a trail of toffee wrappers, perhaps – but this was not the case. However, this particular department had caused a slight delay in their search. Ayesha’s eyes had opened wide in wonder as she beheld the sheer volume and variety of sweets on display and, with a squeal of delight, she had descended upon the serried ranks of jars, prying off their lids and sampling the contents wirh gleeful abandon. Only after a stern talking to from Rowan and the provision of a striped paper bag, bulging with liquorice mushrooms, Pomfret Cakes and sherbet lemons could she be cajoled into leaving. As they ascended to the first floor, their progress was accompanied by the sound of Ayesha happily munching her way through her ‘bribe’. 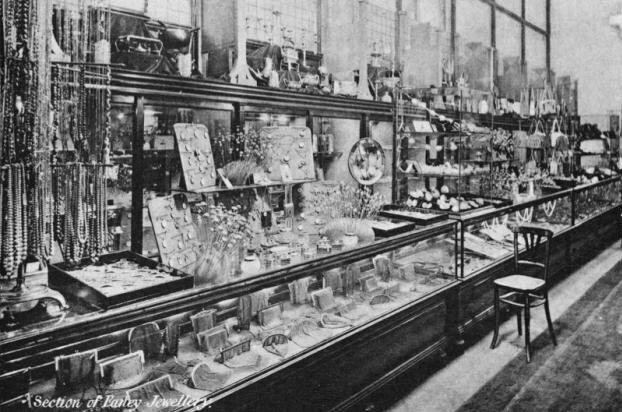 Due to her nature, Ayesha was distracted by neither the shoe department – Ayesha does not require footwear – nor ladies fashion – These garments have too much material and are very ugly – so the time lost amongst the sweets was made up, as they continued with their search. As the pair moved deeper into the store, the sound of high-pitched voices echoed through the fabric and haberdashery department. “My snowflake’s better than yours, Peter” said the voice of a young girl. Rowan gestured to Ayesha to stay back and cautiously advanced through the bolts of cloth, finally discovering the two missing children, Peter and Annabelle Darling, sitting in the middle of the floor, surrounded by a drift of paper. The girl was holding up a snowflake she had cut from silver paper for inspection, but the boy was far too busy carefully cutting out his own, his tongue stuck out in concentration. “And where is Mr. Snips now?” He asked. “He went to get some more paper, as we were running out.” Said Peter. Both children’s eyes grew round as Ayesha approached. “She’s blue…” breathed Annabelle. “The blue fairy…” said Peter in wonder. Blue ‘fairy’? The sound of Ayesha’s laughter echoed in Rowan’s head and she grinned at him, then crouched down with the children. “NO! The children are MINE!” Rowan turned and watched as ‘Mr Snips’ glided forward. Gone was the tailor’s outfit and the large scissors, replaced with a tall, thin masked figure, garbed in a hooded red robe, with brass scissor-like hands, which were flexing convulsively. Ayesha rose from the floor, her anger gaining tangible form as shadows gathered about her. 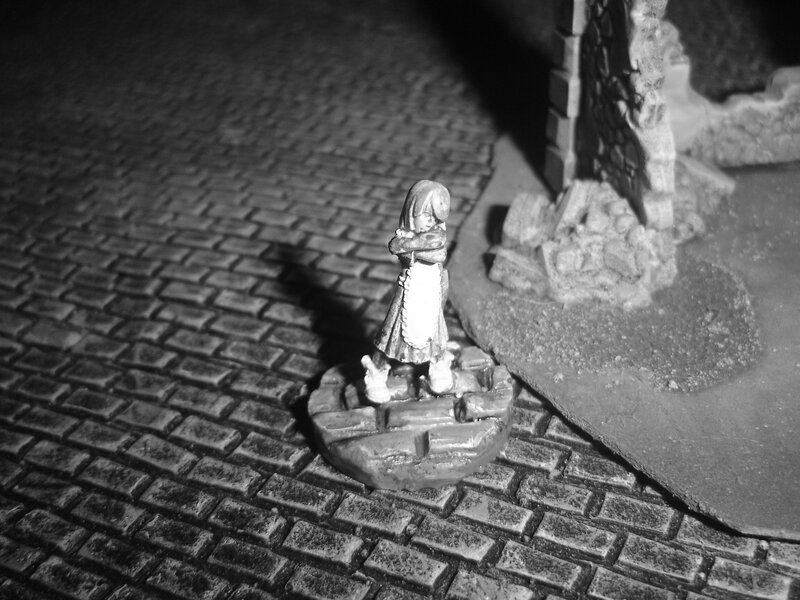 She stepped forward, joining Rowan to face the vengeful apparition. “But I NEED them,” said the scissor man, “otherwise I will fade…and die.” He glided forward, his shear-like hands outstretched. Rowan felt Ayesha tense beside him and put a calming hand on her arm. “It’s very simple,” said Rowan. He turned and called the children. They came over a bit sheepishly and stood next to Rowan and Ayesha. Annabelle nervously slipped her hand into Ayesha’s, who looked a little surprised by this gesture of trust. “Mr. Snips.” Said Peter immediately. “He shows us how to make pretty things out of paper and how to be careful with scissors, so we don’t hurt ourselves.” Said Annabelle. “So, he wouldn’t hurt you then?” Asked Rowan. Rowan turned and smiled at ‘Mr. Snips’. “Mr. Snips.” answered the figure. “Well,” Rowan grinned at Mr. Snips, “I probably would have beaten you with my truncheon until you were very, very sorry.” Mr. Snips tilted his head to one side, considering. After the children had been safely delivered back to their loving parents, Rowan and Ayesha returned home. Rowan removed his jacket and pulled a small white box from inside, one he appropriated on their way out of Gimballs, presenting it to Ayesha as he sat beside her on the bed. It was a box of dates. “I always keep my promises.” He said. Stanley is a remarkable man. Ayesha has something for Stanley too. She held out a small sprig of white and green. The little girl explained that it is a tradition at your Christmas to give ones you care for a kiss, under this greenery. She looked shyly away, but Stanley reached out and took her chin gently is his hand, turning her to face him. His eyes searched hers and saw fear mingled with hope and he felt the walls he had built within himself crumble. He took the mistletoe from her hand and placed it on the coverlet. “We don’t need that,” he said. The snow that had began as Constable Rowan had left the station earlier had now shrouded the borough in a blanket of white, lending it an almost fairy-tale appearance. Which was appropriate, given where Rowan had to go next. He had sent Dr. Stone back to his lodgings and returned to the station to file his initial report, then collected his cape and ventured back onto the snowbound streets. 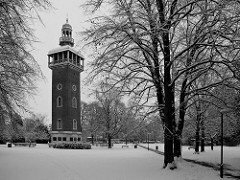 Having safely navigated the icy pavements, he pushed open the gate to the park known as Blackwell Common and trudged beneath the frosted trees towards the carillon at its centre. It was assumed by most that this was a memorial to one of the innumerable foreign conflicts that Britain had involved itself in during the early part of the Queen’s reign, and, on the surface, this was true. But appearances can be deceptive, as this was also the Dark Tower, seat of power of the Night Mayor. 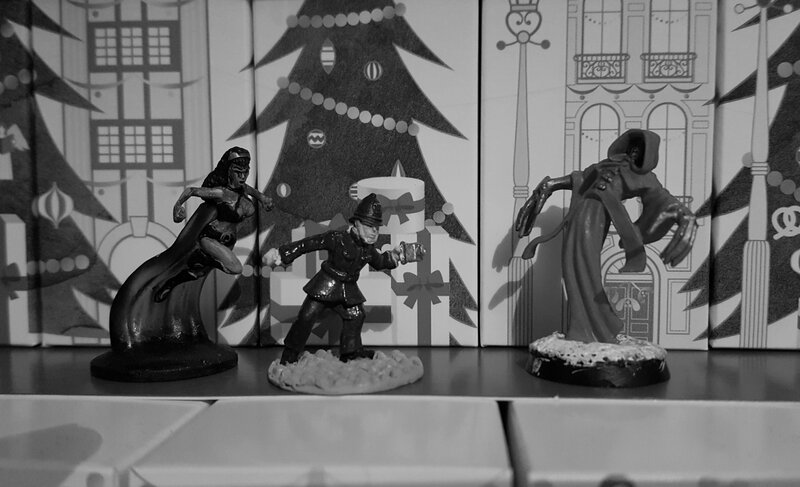 Although given the recent incursions by members of the Court of Shadows, this power appeared to be waning. 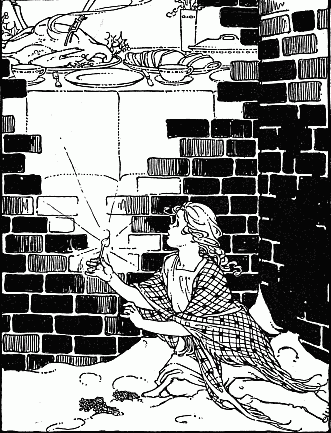 Rowan approached the iron doors at the base of the tower, swallowed apprehensively, then raised the knocker. As the final echo of the fourth knock began to fade, the doors slowly and silently opened. “Who seeks audience with the Night Mayor?” Came a sibilnt whisper from within. “Stanley, scion of the House of Rowan,” stated Rowan. “Enter and ascend.” Said the voice. Rowan climbed the internal staircase and reached the upper chamber, dimly illuminated with floating tapers. A tall, angular figure detached itself from the shadows and stepped forward. 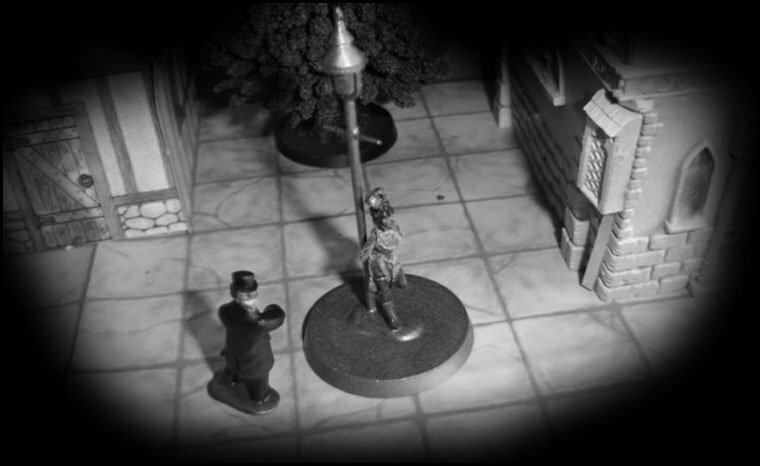 The Night Mayor turned from Rowan and approached one of the windows. The night Mayor turned and regarded Rowan. “Tell me where I can find him and I’ll share my belief with you,” said Rowan gently. 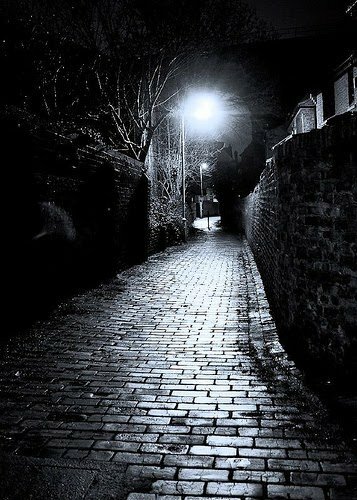 Rowan reached out and took the thin, bony hand of the Night Mayor, closed his eyes and let his belief flow. He heard a gasp and felt the hand flex in his, filling out and transforming from cold flesh into warm metal. He opened his eyes and watched as the tattered robe dissolved into moths, which fluttered briefly before being burnt to husks by the heat radiating from the figure before him. He removed his hand and regarded the transformation. Where once had been a shadowed and gaunt figure, reminiscent of a cowled monk, there now stood an imposing figure of iron and brass, steam leaking from its joints and fire flickering in its eyes. The figure flexed its iron hands and flashed Rowan a grin, illuminated from within as though from a furnace. The sheets, they were bare. Who should be in bed? By a figure in red. Was found in their place. Then left, as on show. He’d not seen this before. As if by a blade. Over the last week and a bit, the majority of my ‘free’ time has been eaten up by social occasions, necessary jobs about the home and the usual preparations for the upcoming festive period. Combine this with issues with one of my teeth, which resulted in its removal after a week of pain, and you can see why I may not have been as active as I usually am. However, I did manage to get a little bit of painting done. Now, I don’t usually post half-painted figures, because this shows that my painting style is a little slapdash. 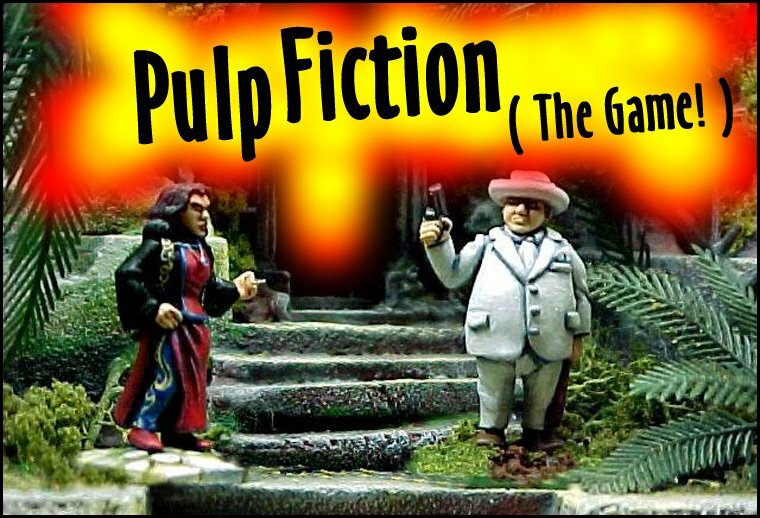 But, as I haven’t got anything else to show for the last week and a bit, this is what you’re getting. 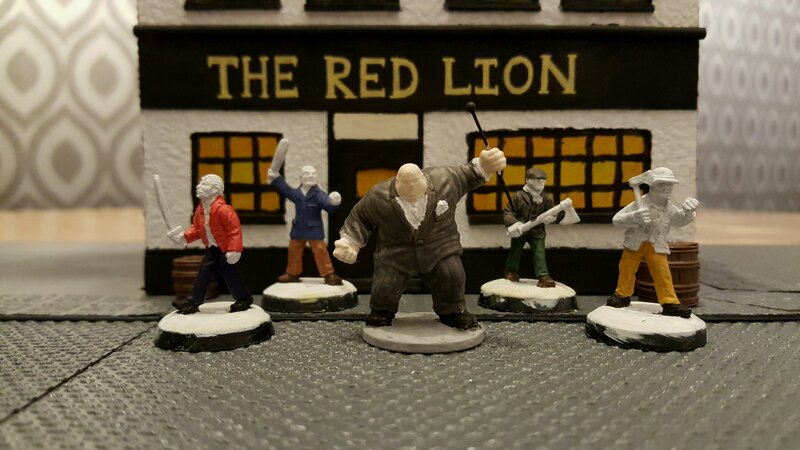 It actually gives me an opportunity to show some of these figures in colour, as previously they’ve only been shown in black and white, plus as I’m using The Red Lion as a backdrop, I can show off the ‘warm glow’ I achieved on the lower windows, which I am quite pleased with. 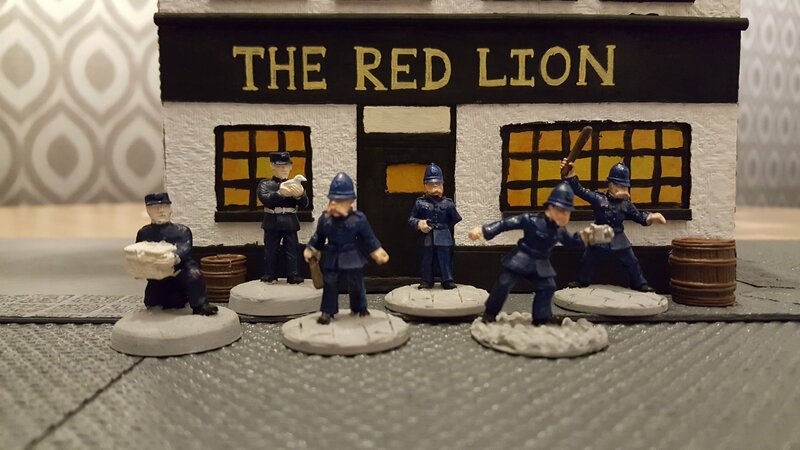 So, from left to right, we have Sergeant Doyle with his basket of Wysps, Inspector Neame and Speckled Jim, Constable Moore, Sergeant Webb, Constable Rowan and Constable Nash. Left to right, we have Captain Haggard, Mitchell, Sir Byron Carpenter, Jessop and Collins. 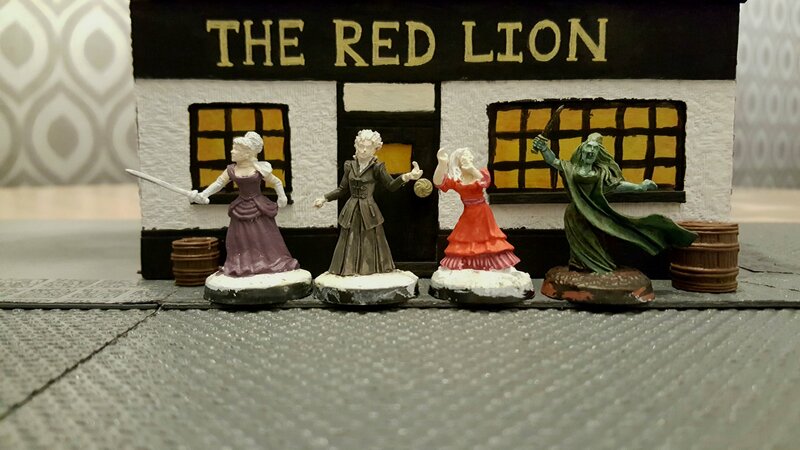 As before, left to right, we have Miss Tabitha Hunt, Miss Verity Smith, Miss Victoria Timms and Jenny Greenteeth, who is the only figure fully painted. I can see that her base needs a bit of touching up, but I was particularly pleased with how I managed to get a lovely mottled effect on her garments, suggesting algae floating on stagnant water. 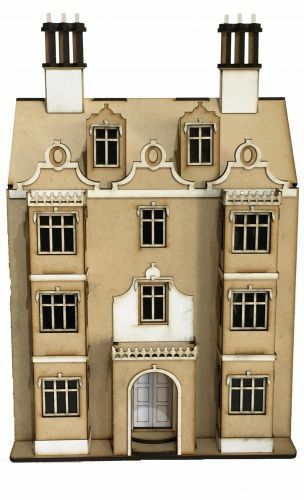 After a recent discussion with Stevie of The Game Cupboard, I remembered a particular online retailer that could possibly provide him with some rather nice 20mm scaled laser-cut MDF buildings for his upcoming Alterni-War campaign. 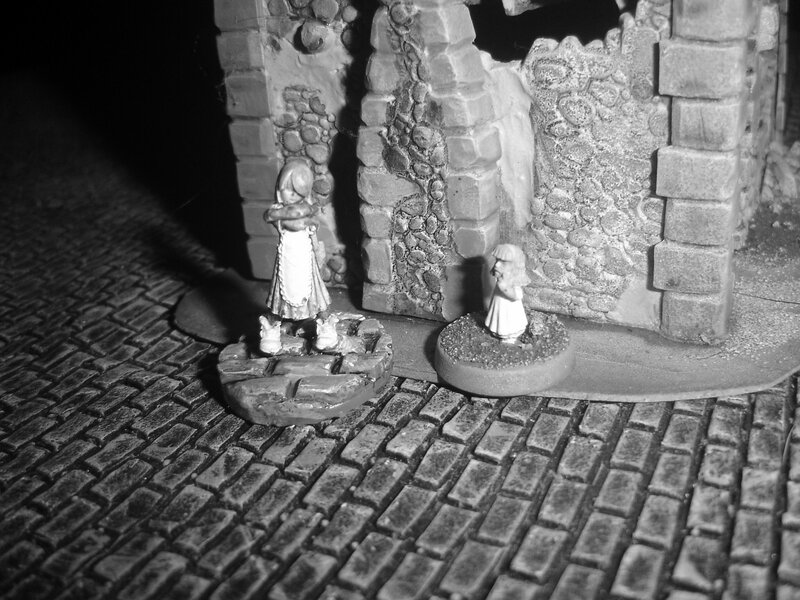 And this company also does 1/48th scale buildings, which are pretty much the right scale for 28mm. And this company is Petite Properties. 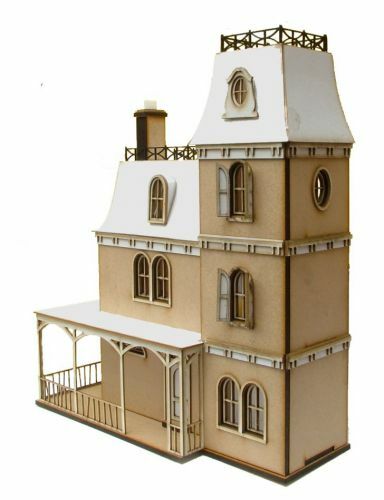 Now, this company specialises in laser-cut MDF doll houses, but the advantage they have over gaming specific structures is; 1 – they are a lot more detailed and, 2 – they are actually cheaper than the equivalent same size structure from a gaming company. Need proof? This is the Raven’s Perch, a three-storey Gothic mansion with playable interiors for £37.99! Of course, I was looking for suitable structures with which to populate Blackwell, so could this be the Blackwell townhouse of Sir Alexander Crowe? And is this the famous L. Dodsgon & Sons of Milliner’s Court? So the first is Havisham Hall from the Dolls House Collection at £39.99 and the second is the Buttons & Bunting Haberdashery from the Memory Lane Collection at £19.99. I think they’re pretty good value and they give you an additional resource for a variety of periods. They have just released a range called Cobblestone Snicket, which would suit both Tudor London or Diagon Alley, depending on your particular needs.